Switching from fiberglass to carbon fiber can reduce the overall weight of a boat by as much as 20% or more. Upgrading to carbon fiber helps boats get the same performance using less material, and this leads to a lighter vessel. Thanks to this reduced weight from superior carbon fiber designs, boats become more efficient and faster at the same time. Carbon fiber’s superiority isn’t limited to the body of the boat. The improved stiffness makes it ideal for outrigger poles. Aluminum or fiberglass poles can whip back and forth in rough conditions, but carbon fiber will stay steady. This is perfect for those who want to troll for fish without having their bait flung around in the water. Carbon fiber’s lighter weight helps the boat sit higher in the water. This allows carbon fiber boats to get over waves more easily. The enhanced stiffness also lends itself to smooth sailing, because the hull can cut through waves more easily. Smooth rides combined with stiff outrigger poles make deep sea fishing significantly easier. In the unfortunate event of a wreck, passengers will be much safer in a carbon fiber hull. The extra strength helps it stand up to collisions and any other type of damage you might encounter. The strength and protection further allows weight reduction in carbon fiber vessels, because even a thinner hull can provide superior safety. Carbon fiber boats can restore a boater’s peace of mind even in rough conditions because these boats are much better than their fiberglass competitors at standing up to rough waves. 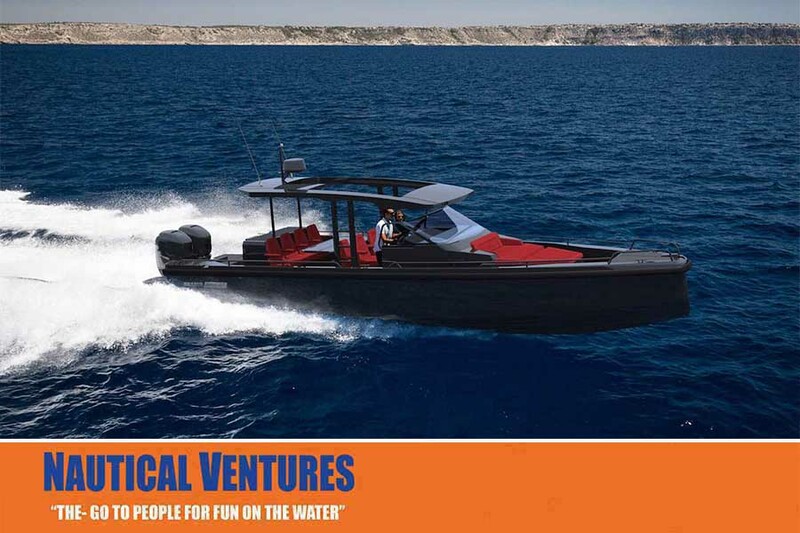 Shop Nautical Ventures for a wide selection of carbon fiber boats and accessories. We are proud to be on the leading edge of nautical technology, so you can count on us to provide the newest aquatic equipment. Contact us today or stop by the Dania Beach or North Palm Beach location.